Palin Announcement on September 3rd More Likely? 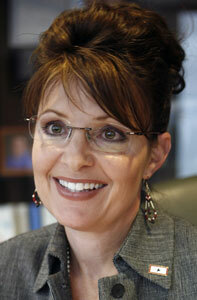 This entry was posted on Sunday, August 21st, 2011 at 19:32 and is filed under Politics, Sarah Palin, Update. For all I know, she could announce in five minutes, though it seems unlikely. The problem with all of this speculation is that nobody but Governor Palin seems to know, and I expect that’s the way she prefers to keep it. One Response to Palin Announcement on September 3rd More Likely? me too, I'll wait and I think it's in her best interest to stay out as long as possible. Have a great time in Iowa, I'm saving for inauguration :) grrr !